Pixelgrade are well known for their fantastic magazine themes. 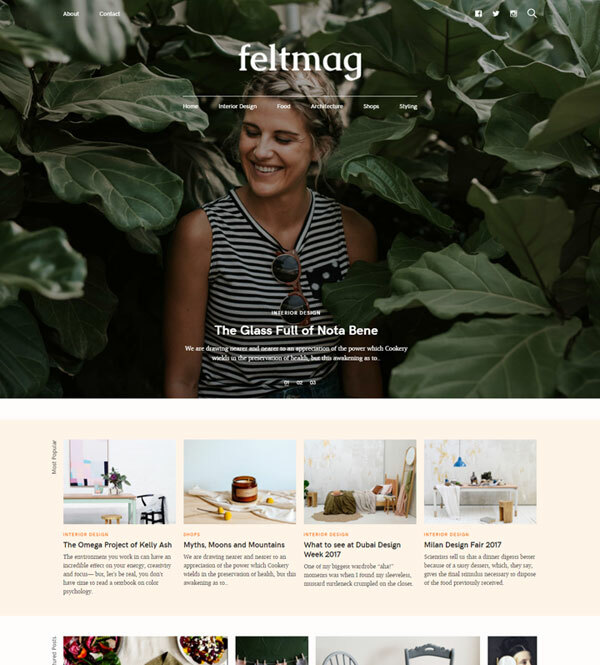 Their latest magazine theme – Felt, has the high quality design all Pixelgrade themes are known for as well as lots of versatility and handy features. As soon as you see the Felt demo, the high quality design is obvious. The hero area is perfect for displaying your featured posts along with large, full width images. You can feature multiple posts in this hero area with your content displayed over the top. The website logo and navigation is also displayed over the hero image so although it can look great, you’ll need to make sure your images are suitable to allow the content and navigation to be seen clearly. Further down the homepage, a beautiful grid system is used to display featured posts and various categories. The different parts of the grid are well separated and very easy to read which is essential for a good magazine theme. One feature of the theme that I’m not so keen on is the hover effect on the featured images. The first letter of the post title is used to display a large letter over the image. I’m not really sure this adds anything useful and I don’t think most users would be aware of what the letter means which potentially adds confusion over an otherwise easy to use theme. If you don’t like this feature either, it could easily be changed of course so it’s certainly not a good reason to pass up on the theme for that reason alone. The layout can be enhanced with a number of useful widgets to allow you to build an audience and market to your visitors. 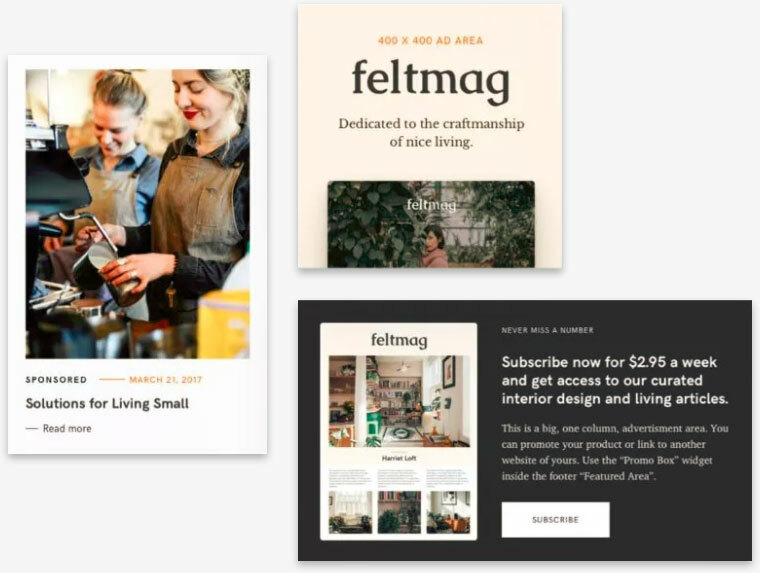 You can add very neat and attractive newsletter widgets and a number of areas for displaying ads. None of these areas look intrusive and they are perfectly integrated into the theme. 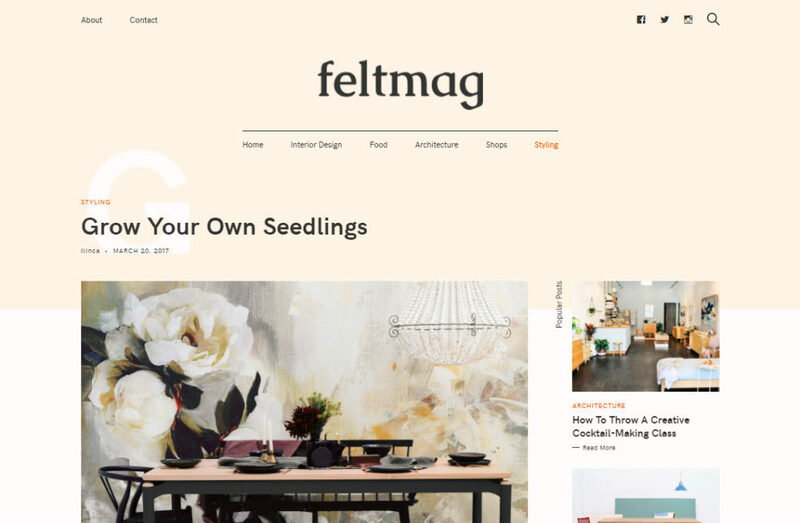 Single post pages look stunning even though they are relatively simple. You can really tell how good Pixelgrade’s design is by their ability to make the most out of standard WordPress features. Just take a look at this example of a single post page and you will see that the typography looks perfect, the layout is very well balanced and there is an attention to detail that really sets them apart. Pixelgrade don’t slack off on the other pages of the site either. All of the other pages in the demo look gorgeous too including the about us page, the contact page and the category pages. Like other Pixelgrade themes, you wont find tons of options that take ages to set up but you will be able to change all the key things you’ll need to change such as colors, fonts and logos. One feature I really like in their admin area is the documentation being included there so you can get help right away if you get stuck. Pixelgrade provide access to their themes via the Pixelgrade theme club. You pay just $9.95 per month for access to everything. You’ll get a free trial so you can try everything out before you spend any money and you can also cancel your plan at any time. This is great value for money for some of the best themes on the market.